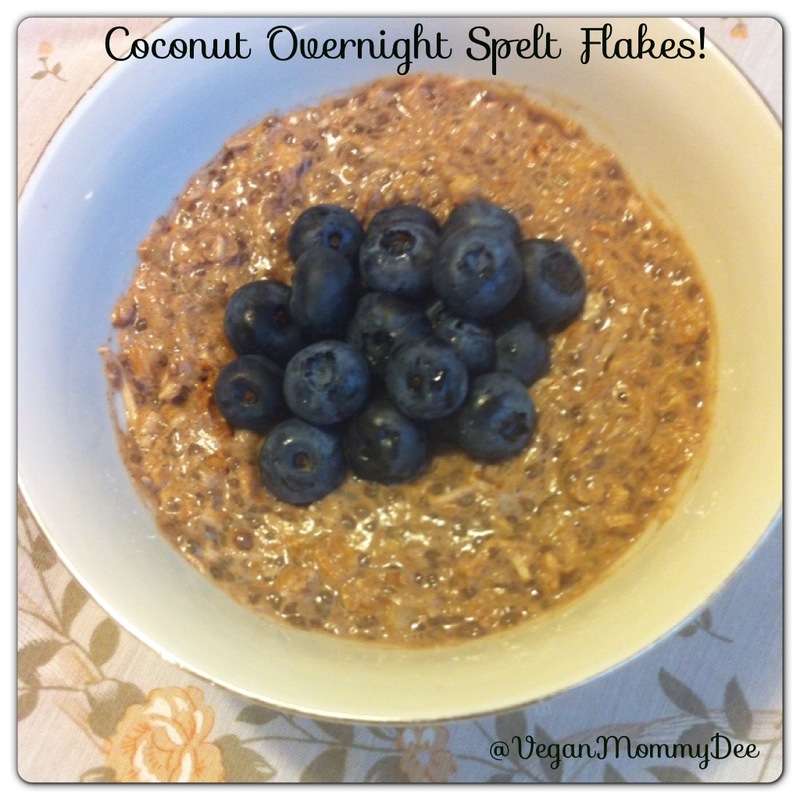 I make my overnight spelt flakes/oats very often. It makes breakfast much easier in the morning when your in a rush! Instead of having to wait for your spelt flakes/oats to cook all you would have to do is heat them up! So fast & easy! 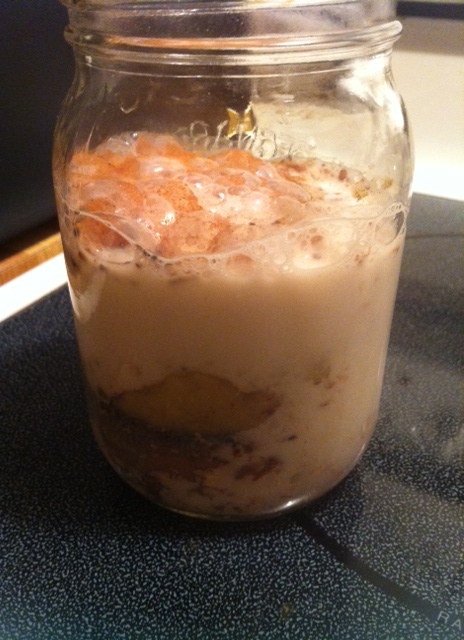 I use medium-sized mason jars to make my overnight oats because I find it’s easier to heat up in the morning. Instead of transferring the mixture into a pot I just add the jar right into a small pot of boiling water for a couple of minutes. Sometimes I will scoop the warmed up spelt/oats into a bowl or a lot of times I eat it right from the jar! 🙂 You can’t get any easier than that right? 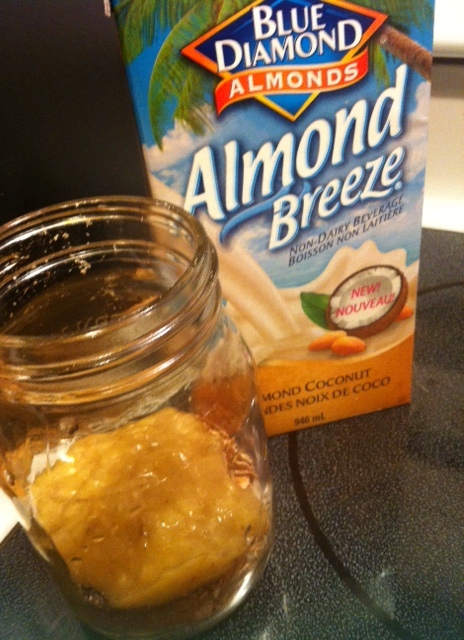 In my recipe I use unsweetened milk, coconut shavings and almond butter because I want to keep everything sugar-free. I prefer not to add additional sugar other than the natural occurring sugar in the banana and optional berry or fruit topping. If you like things on the sweeter side you could use the sweetened coconut, milk and nut butter. 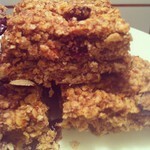 Add 1/3 cup Spelt Flakes, Oats or a combination of both which is also really good. Mash 1 medium-sized banana with a fork in a small bowl. 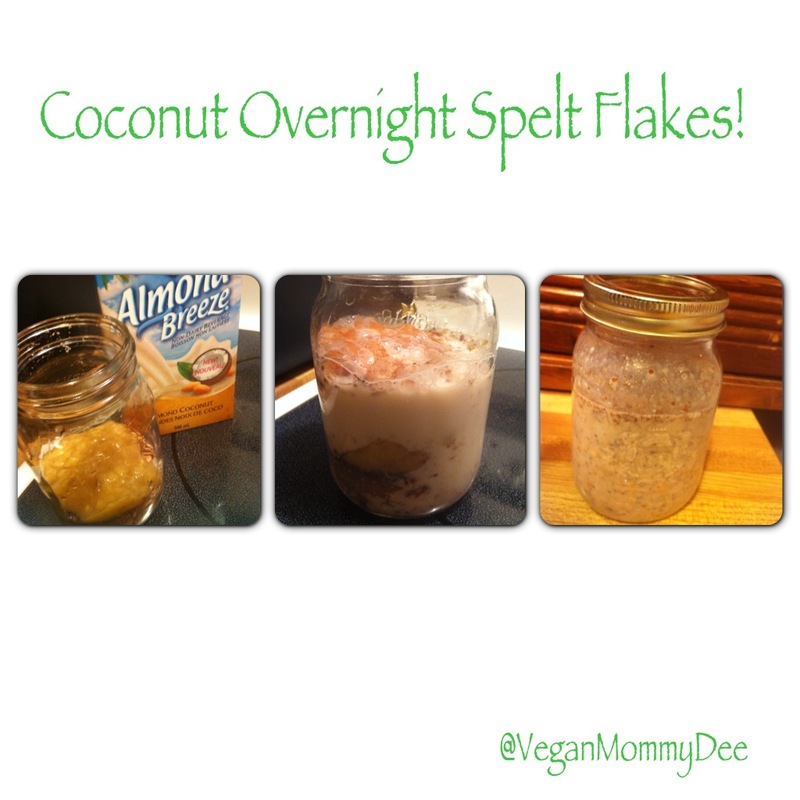 Throw in the 1 TBSP of cinnamon, chia seeds & 1 tsp shredded coconut. Add in the mashed banana and chopped walnuts and combine. 6. Give it a good mix to combine, put the lid on and place it in the fridge overnight. 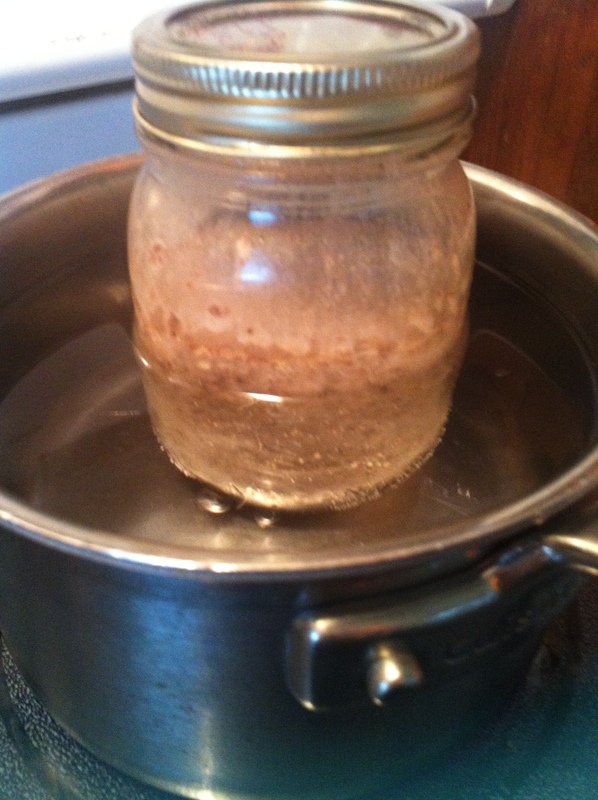 Place the jar right into the pot and heat it up for a couple of minutes. Once it’s hot enough for your liking remove the jar from the water and your going to add the 1 TBSP of almond butter into the mixture. Eat it right from the jar or transfer it into a bowl. These granola coins are so easy to make and are so handy to have in the house. I throw them into my purse in case I need a snack on the go. I found a recipe in Today’s Parent but had to change it up to suit my vegan needs. The original recipe called for eggs so I use flaxmeal in my recipe. I also added shredded coconut to my recipe as well because I think it add’s incredible flavor and texture to the coins. Another change to the original recipe is that I added cinnamon too! We LOVE cinnamon! Making this recipe really got me thinking about other combinations I can make as well. I will be trying out some different ideas before my kids head back to school. Sadly summer holidays are almost over. 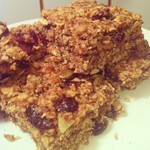 I’m starting to think of new easy to make snacks that the kids would be able to take to school. 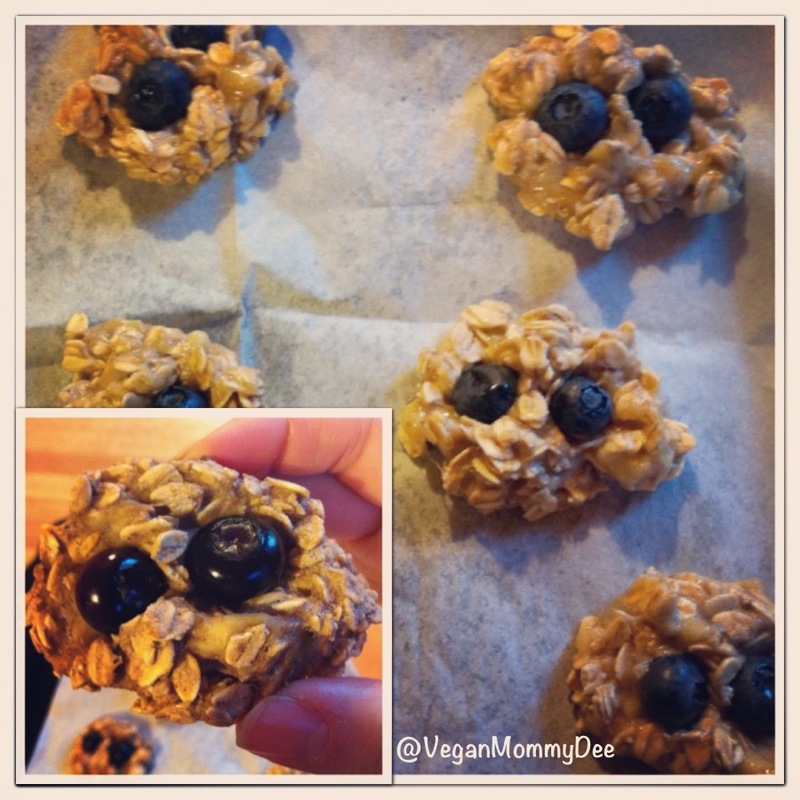 I think that these granola coins would be a great snack to throw into their lunch boxes! 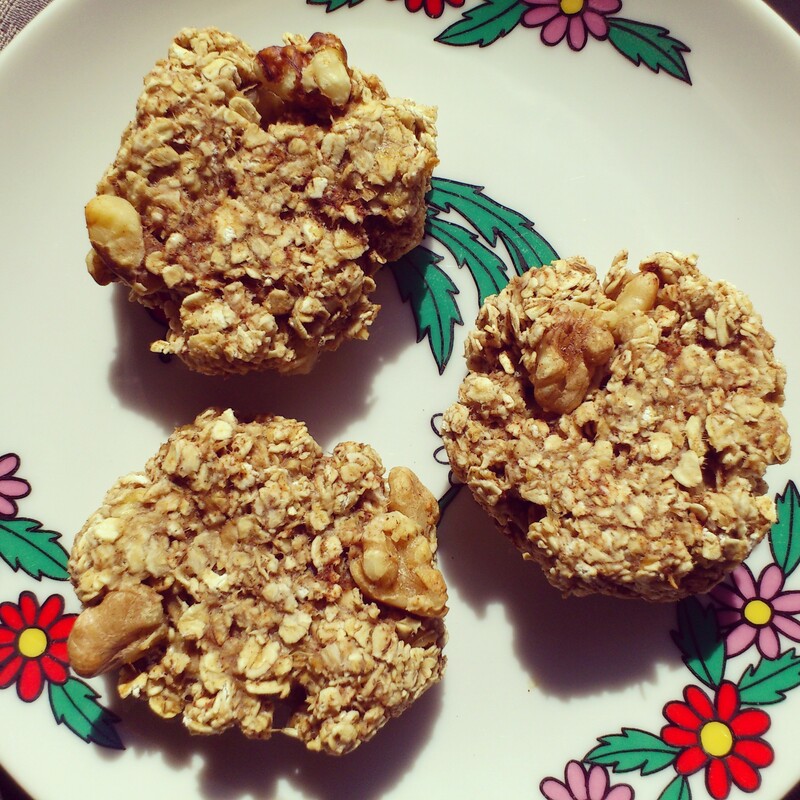 They are super yummy and very healthy for them too! In a small bowl add the 3 TBSP of Flaxmeal with 7-8 TBSP of water. Add 7 and if it’s still a tad dry add more water. Mix well and let sit for 5 minutes. In a medium bowl add maple syrup and oil. Mix. 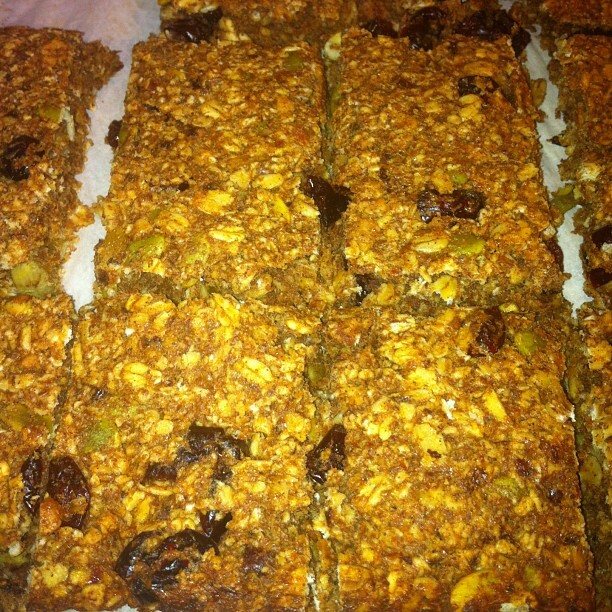 Stir in the oats, pumpkin seeds, cranberries and sesame seeds, cinnamon, shredded coconut and add the flaxmeal. Give it a good mix. 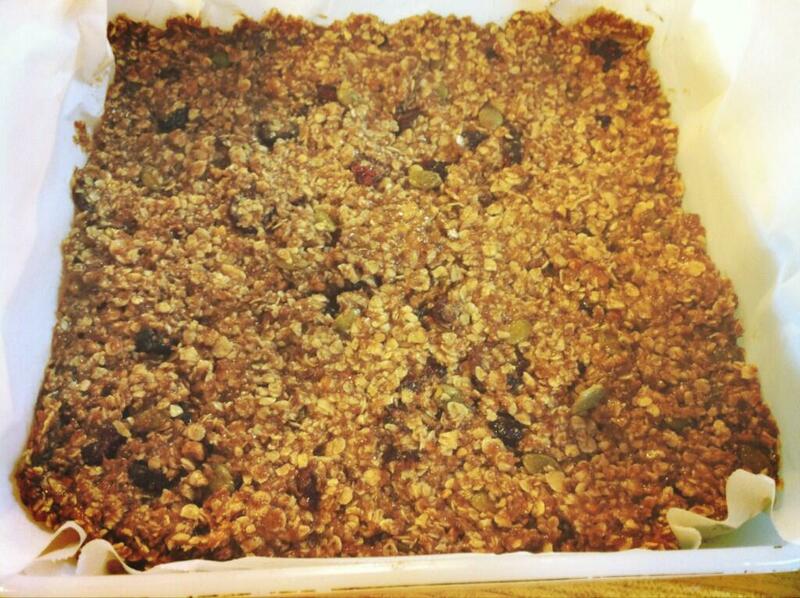 Add the granola mixture into the muffin tin, dividing it equally. Use the back of a teaspoon to press the mixture firmly down into the muffin cup. 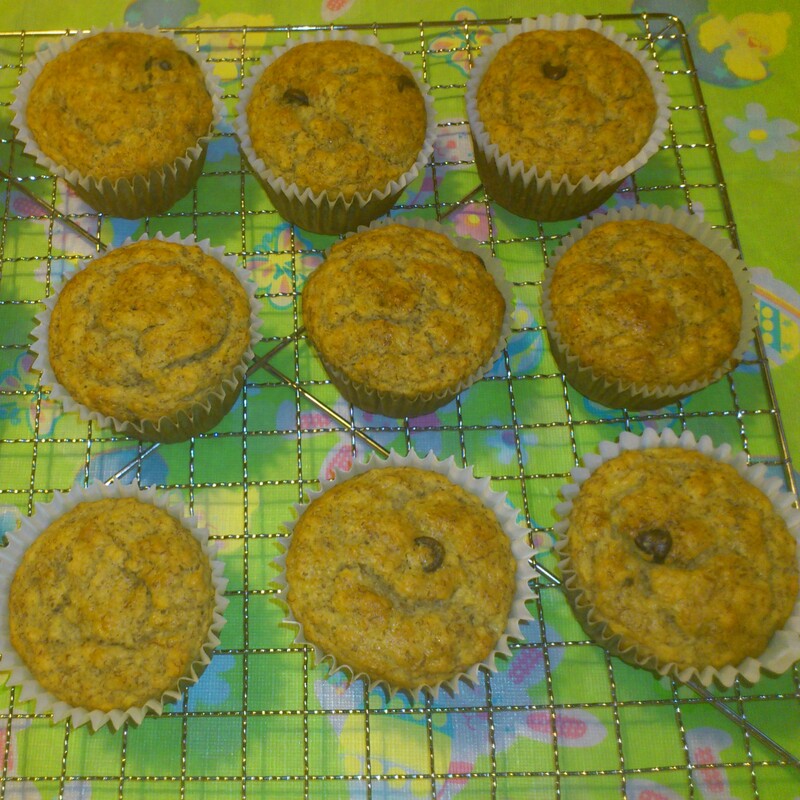 Let the coins stay in the muffin cups for at least 5 minutes after taking them out of the oven. This will let the shape fully set.